The U.S. Congress has had the option of waiving the restrictions placed on trade relations with Russia as a result of the Jackson-Vanik Amendment since 1989. Each year since that time, U.S. lawmakers have chosen to waive the trade restrictions. But earlier this year, the U.S. House of Representatives voted to abolish the Amendment and replace it with Permanent Normal Trade Relations (PNTR) with Russia. Throughout the year, American businesses lobbied Congress to repeal Jackson-Vanik not in sympathy with Russia's government, but rather in the hope of reaping commercial benefits by virtue of Russia's entry into the World Trade Organization. After Russia's accession to the WTO on August 22nd, the repeal of the Amendment seemed a logical step, to harmonize domestic law with treaty law. There was really no doubt that Jackson-Vanik impeded free trade with Russia's growing market and severely restricted full access by American companies. In short, repealing the amendment, economists argue, will increase U.S. exports to Russia without seeing any significantly corresponding increase in the volume of imports from Russia. Freer trade leads to export growth -- a pillar of President Obama's economic policy -- growth in the US economy and job creation. But the repeal of Jackson-Vanik at the House was not without cost. U.S. law makers made adoption of the Magnitsky Act a pre-condition of the abolition of trade restrictions with Russia. Many argue that the adoption of the Act may in fact be a more targeted law, now couched in increasingly human rights vernacular, and aimed at sanctioning Russian officials, security forces and civil servants who were involved in the death of Sergei Magnitsky. Mr. Magnitsky, a lawyer for Hermitage Capital, was a key whistleblower who revealed a deeply entrenched system of embezzlement and fraud implicating billions of rubles from previously untouchable bureaucrats. Magnitsky died in a jail cell and his trial is proceeding posthumously. While proponents of the Magnitsky Act say that it targets only those implicated in the Magnitsky affair, a review of the draft bill may lead some to conclude that its provisions go overboard, and authorizes the U.S. State and Treasury Departments to impose visa and financial sanctions against anyone in Russia accused of human rights violations, without qualification. Its provisions state that the U.S. Secretary of State may place a person on a visa black list in the name of "national interest" and, at the same time, allows the U.S. Treasury secretary to freeze assets of any Russian individual. While Jackson-Vanik was seen as a punishment against Russia, Magnitsky is supposed to be a punishment against individuals. H.R. 6156 is likely to be adopted by the Senate, and President Obama will likely sign the bill into law just before New Year's Eve. While the Obama administration has repeatedly expressed its opinion that Jackson-Vanik should be repealed without reference to the Magnitsky Act, some lawmakers believe that because the U.S. had already granted Russia PNTR status, anything more would be an unwarranted concession. In any event, PNTR status should be adopted as a matter of course, given Russia's accession, as it would for any other new member of the WTO. Any human rights argument in favor of the Magnitsky Act appear to be a pretense for political capital being spent to appease the conservative republicans. Regardless of however one chooses to couch "Whereas" clauses, the adoption of the Magnitsky Act will be seen by Moscow for what it is -- the result of political horse trading in Washington. The original Senate version of the Act included within its scope not only Russian individuals but any individual accused of human rights violations around the world, but it was subsequently made to apply only to Russian individuals. The lingering issue remains whether amendment of the terminology used in the draft bill will be meaningful enough to include other countries, such as China. Many conservative republicans would like to see that. If America hopes to 'reset the reset' with Russia, it will need to send more accommodating messages to Mr. Putin. While America must be true to itself and its values in opposing human rights violations, it should not be the 'centerpiece' of U.S. foreign policy. Jackson-Vanik is rightly being repealed because it is a relic of a bygone era. We are no longer living in the 1970s and are no longer fighting a battle between capitalism and communism around the globe. Today, the battle is between states competing commercially. Particularly while the U.S. struggles to find its economic footing, American lawmakers would be wise to keep that in mind. Daniel Wagner is CEO of Country Risk Solutions, a cross-border risk management consulting firm based in Connecticut (USA), and author of the book "Managing Country Risk". 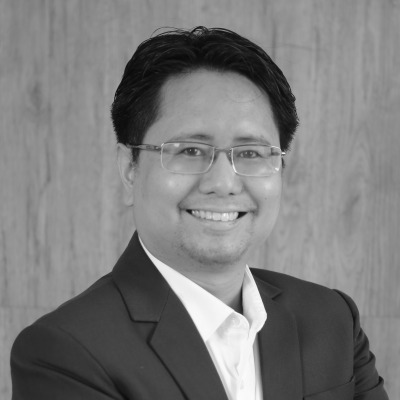 Edsel Tupaz is owner of Tupaz and Associates and a professor of international and comparative law, based in Manila, Philippines. He is a graduate of Harvard Law School and Ateneo Law School. 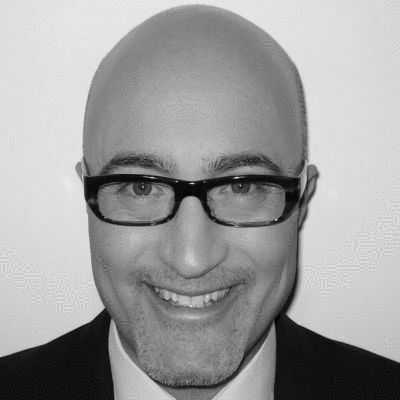 Kambiz Behi is a consultant in foreign affairs at EnterInvest in Minsk, Belarus and Russia. He holds a Ph.D in Social Anthropology and Masters in Regional Studies from Harvard University, and a Master of Laws from University of Pennsylvania Law School.